"My mom is inviting you for a Tu B'Shvat Seder." I had neither heard nor experienced a Tu B'Shvat Seder while growing up in Israel, until my boyfriend at the time when I was 17, extended the invitation. I was perplexed at the custom as well as his parents' gesture. My friend's mom and her family, who were also Greek Jews, were fortunate, they were spared the horrific agony of the Holocaust. They emigrated to Israel, then Palestine, in the early years of the twentieth century. 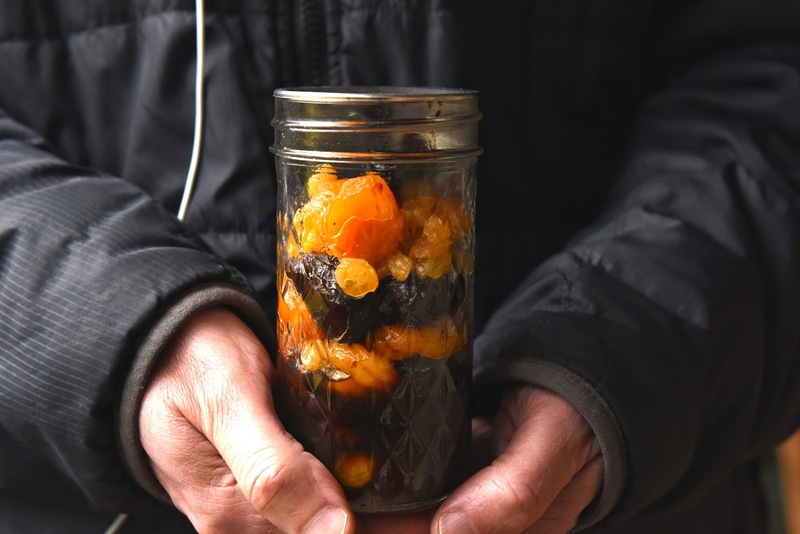 Please click to read A Tu B'Svat Seder, Sweet and Significant (and get the Honeyed and Spiced Dried Fruit Compote recipe) over at The Jew and the Carrot, even if it is written from my small perspective. P.S. For those of you who speak Hebrew, and I know there are a handful here, I came across this incredible food travel video in Saloniki, with Chef Haim Cohen and his Shum, Pilpel and Olive Oil (Garlice, Pepper and Olive Oil) show. It's a must watch. I wish they had it with English subtitles! A wonderful compote. Such an interesting story behind it. Just sensational Shulie. I am elated by your story and recipe! Thanks, Meeta. Means the world! This is gorgeous and I am SO going to make it! What a beautiful compote! I can't wait to try it! What a wonderful story behind this celebration, Shulie! I will never look at these ingredients the same way again. Gorg. Def sweet and significant! Thanks for your thoughtful comment, Lauren. It means a lot! Kim, Your comment is possibly the most thoughtful and inspiring comment to this date on my site. I am touched and appreciate the time you've spent reading this post. I encourage you to find out. My mom, I noticed, is starting to be slightly forgetful, which puts me into panic that many stories will remain untold. Thank you for sharing, I've never heard of Arbor Day. You're compote looks absolutely beautiful. Thanks, Katerina for your gracious comment. I will look it up. Intrigued! I don't know much about Jewish traditions at all, but I've always wanted to learn more. 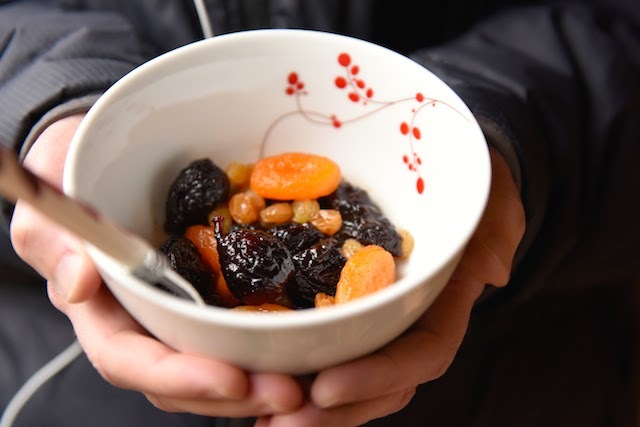 This compote looks so simple, and so lovely - I'm off to read both stories! I always learn something from your photos, posts and recipes. This is beautiful, Shulie and haunting at the same time. Thank you for sharing your stories. What amazes me, Renee, how you captured it, "haunting" indeed. Thanks for dropping by. 70th anniversary of the liberation of Auschwitz, whoa. I loved learning about the history of Auschwitz in school. Your photos are beautiful! I know what you mean, Angie. Me too when I was in school. My family is from India so fortunately none of my family members perished in the Holocaust but many of my friends' families did. Reading about the Holocaust never fails to bring me to tears. Always. In the face of such and evil period of history, I'm still in awe of the resilience of the survivors. My good friend's father was also a survivor. Just knowing what he endured and lost in the concentration camps, yet still went on to accomplish in life is inspiring. 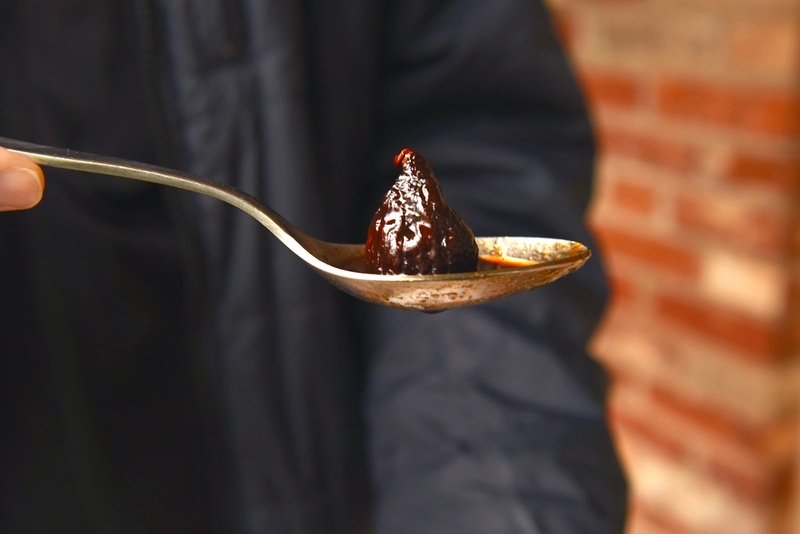 The warm spices in your compote would bring a feeling of comfort to a somber occasion. I was watching a movie the other week about a close Greek family and I looked over at my husband and said "I wish had a heritage like that." While I love my family we have no ties to a culture or it's food. To have such a bond must be amazing. I love your story- thank you for sharing! Shulie, that is a fab story and an exquisite recipe!